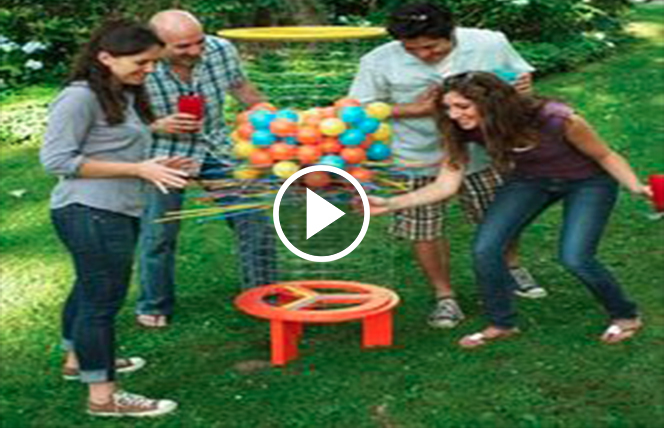 This video was shot at my 30th High school reunion on July 25, 2015. There is a very close 40 plus year friendship with all the people in this video. We have a friend who is terminal with cancer. She chooses not to hear her prognosis, but it’s well known that she has miraculously held on to life against all odds. She was diagnosed 6 years ago with breast cancer, had a single mastectomy and 5 years later it has returned and is in her liver, lungs and bone. We take every opportunity we can to have fun with her. We are a silly group, but we laugh and we dance and we have fun when we’re together. Maureen believes the power of love and laughter is keeping her alive. This balloon pop was in fun and is one of the best laughter medicine we have ever given her. Unfortunately, Maureen was weak and unable to participate in that race, but she laughed at us…and that was our goal. We are thrilled that people are laughing at as. We laugh at ourselves all the time.